Being a nurse is not solely about being competitive against others. It is more on improving yourself all the time and improving your skills and knowledge. That is why nurses always work their hardest in the career they pursue. They never stop learning. Studying and working to be a nurse is just one struggle of many more. Nurses always learn new things; they never stop at getting their licenses. They attend conventions and seminars to learn more or share what they know as well. They still study, even after gaining their permits and licenses. They still read their med books and still listen to their superiors when they are being trained. Nurses who want to grow in the medical field set goals. They always keep track of what they want to achieve in the near future, in the months to come, and in the years to look forward to. They always test their limits just to help the people who need their assistance. They always learn and try ways to help other people – and, as they move forward, they still learn and practice. Nurses also learn from people. When they encounter cases they do not understand, they always make sure to study. They also ask their superiors and acquaintances who are very knowledgeable. Learning is a two-way process. There are more ideas exchanged when you socialize and grow your group, especially in the medical field. Improvement is at every corner. Train and practice as much as you can, give time to learn more and improve yourself when you can. Nurses who are really good at their profession always find ways to improve themselves than wallow on what they cannot do. They always try their best and make sure their best is the best. There are lives at stake, which is why it is important to always improve your skills and knowledge. This way, you can help more people and share your own knowledge to others as well. They take care of themselves as well. As much as nurses are hardworking and determined to excel, they also take care of themselves. Taking care of yourself is a way of showing others that your health is important and that you really can take care of people. What you do to yourself is a reflection of what you can do and what changes you can make in the world. Always treat yourself with care and be good to yourself. Achieving excellence in the profession does not come easy. It takes discipline, a heart, and a hunger to be better for the greater good. 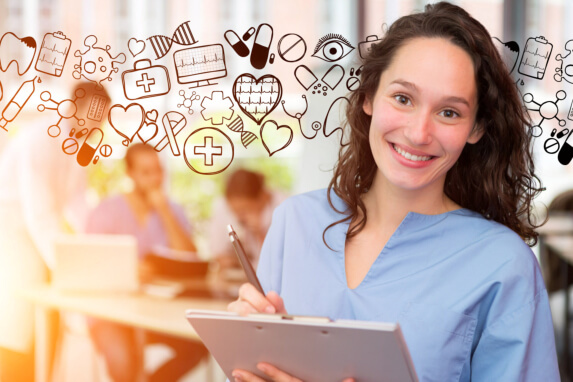 At Hollywood Career Institute, your healthcare training in Hollywood, Florida is in good hands. Come and join our Training School in Hollywood, Florida now! This entry was posted in Nurses and tagged Healthcare Career, Healthcare Training, Profession. Bookmark the permalink.